In Japanese, the word kendo literally translated means "way of the sword" ("ken" = sword, and "do" = the way). It is the traditional Japanese art of full-contact fencing developed by the Samurai. Iaido is the martial art of drawing and cutting with a katana - either an unsharpened practice blade or the real thing. In iaido, a practitioner executes set forms, or kata, against an imaginary opponent. Greetings! 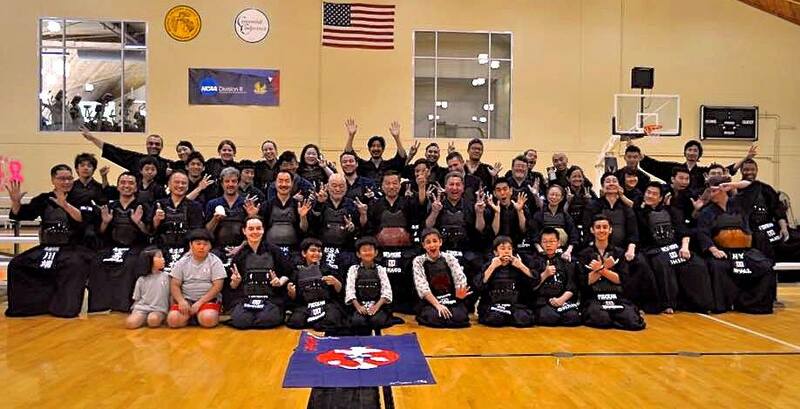 We are happy to share with you that Takeshi Ishii Sensei, Kendo Kyoshi 8 Dan, Former Tokyo Metropolitan Police (Keishicho), Vice Syuseki Shihan and Nippon Budokan Kendo Dojo Shihan, will visit be visiting New York. The 35th Shidogakuin Anniversary open Tournament on Sunday 4th, the last day of camp. It will be Kachunuki 5 member Team match and Men's Divison, Women's Division and Youth Division. Special guest announcement! Masaharu Kakehashi sensei Kendo Hanshi 8dan (Honorary Shihan of the Tokyo metropolitan police department) and Koji Onda sensei Kendo Kyoshi 8dan(Fuku Syuseki Shihan of the Tokyo metropolitan police department) will participate as guest Senseis from first day of the this camp.